If my friend Jeff has taught me anything, the shoe game at San Diego Comic Con is a strong one. Last year's highlights including Marty McFly cosplayers wearing the rare Nike Mags, and Shoebaccas giant shoe car parading around the Gaslamp. With vendors like Shoebacca and Bait, it is only a matter of time until we see fans lined up early in an attempt to land some exclusive kicks on the floor of the San Diego Convention Center. While other blogs may stress the importance of function over form, I stress that you can do both. Here are my five top choices for SDCC shoes. 1. Bait X G.I. 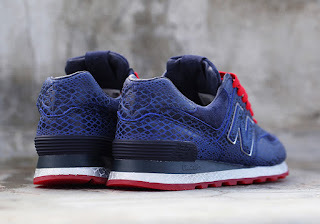 Joe X New Balance 574 Cobra Commander - Borrowing the colors from the G.I. 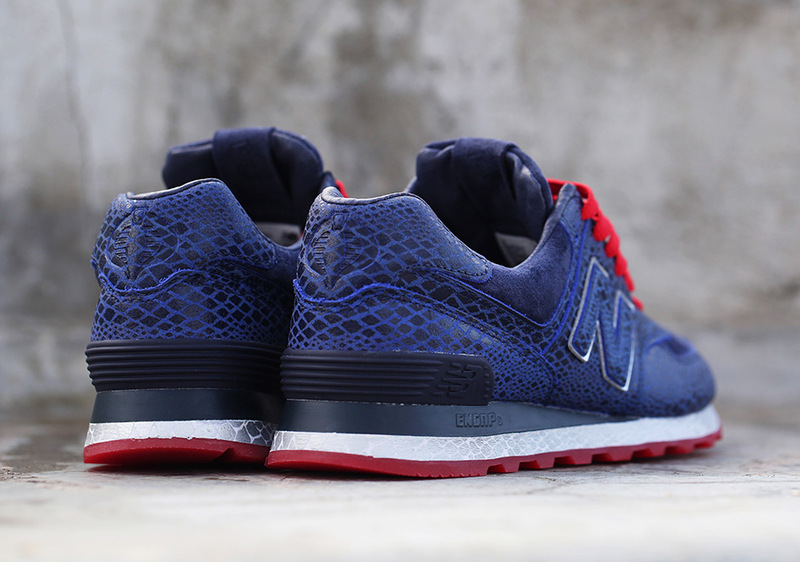 Joe villain, the New Balance 574s will provide the comfort and stability needed to traverse from the Convention Center to the Gaslamp and beyond. It features a snakeskin pattern and includes a Cobra logo debossed on the heel. This shoe is clean, subtle, and represents a strong shoe game. I plan on wearing these at least one of the days on my SDCC journey. 2. 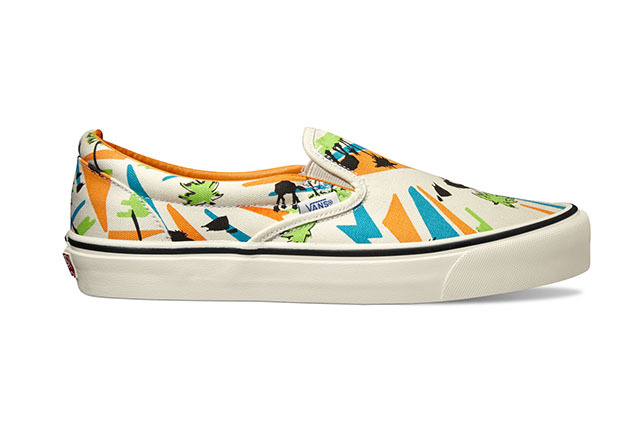 Vans X Star Wars - If subtle isn't your thing, you can represent your Star Wars pride with a strong shoe game as you camp out in the hopes of attending the panel in Hall H on Friday. What is nice about the Star Wars Vans, is that there is such variety that there is a pair for everyone. If I am brave enough, I will wear my Vault by Vans X Star Wars OG Classic Slip-On LX pair I was lucky enough to land last year on May 4th. 3. 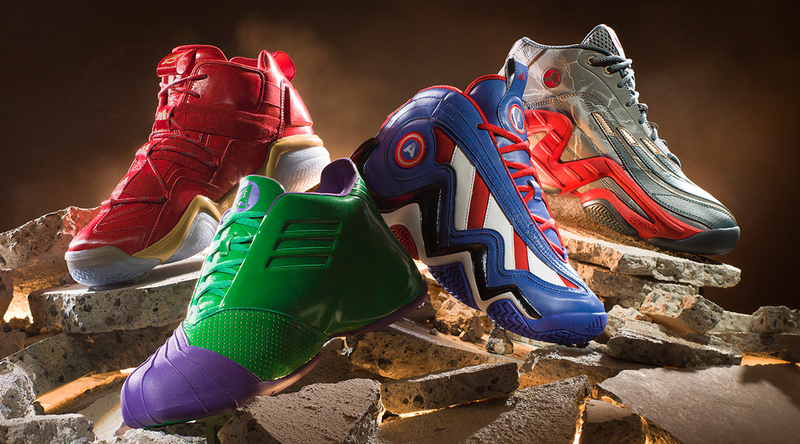 Adidas X Marvel Avengers - This collaboration that includes classic Adidas basketball shoes and Marvel's Avengers will launch July 4th for $125 a pair. While I prefer the Captain America Crazy 97s, it is hard to go wrong wearing any of the shoes in this collection. Had I not copped the Cobra Commanders, this would have been the new addition to my arsenal this year. I expect to see a good number of fans wearing these attempting to get swag from the Marvel booth. 4. 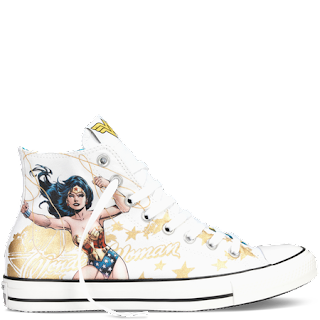 Converse X DC Comics - If you are more of a DC fanboy or fangirl you can show your pride with a pair of Converse at SDCC. Converse has a wide selection of DC shoes that are sure to impress as you wait in line for the Convergence panel to get the latest scoop on DC's most recent event. The DC Converse won't break the bank and are an American classic. 5. Disney X Vans - The latest collaboration from Vans pairs the skate shoe company with Mickey Mouse and company. Like the Star Wars line, there is sure to be a pair that appeals to any Disney fan looking to improve his or her shoe game. 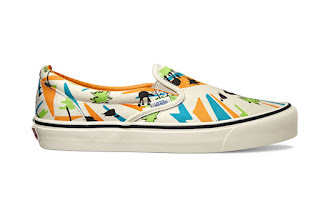 I am partial to the Disney SK8-Hi Slim, but there are shoes featuring Mickey, Minnie, Winnie the Pooh, Donald Duck, and more.